This tree grows up to 80 feet tall, and is 2 feet in diameter. This is a large tree with a straight trunk and a pyramid shape crown of spreading branches. 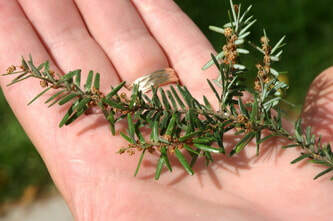 It has evergreen needles that are 1/2" to 1" long. The needles are stiff, 4-angled, sharp pointed, and spreading on all sides of the twig from very short leafstalks. The needles are shiny dark green with whitish lines. The bark is reddish-brown and scaly. The tree has drooping limbs that point up at the tip. The cones are 4 to 6 inches long, cylindrical, light brown, and hanging down. The cone scales are numerous , thin, slightly pointed, opening and shedding a year after maturing. This tree has been widely cultivated for ornament, shade, shelterbelts, and Christmas trees. The showy cones are the largest of the spruces. It is the common spruce of northern Europe. This tree is found in moist soils in humid, cool, and temperate regions. This tree grows from 60 to 70 feet tall, and is 2 to 3 feet in diameter. The needles are short (3/8"-5/8) with 2 white lines underneath. The needles are spread in 2 rows from very short leaf stalks. The bark is cinnamon brown, thick, and deeply furrowed into broad, scaly ridges. The cones are 5/8" to 3/4", elliptical, brown, short-stalked, are composed of numerous rounded cone scales, and hang down at the ends of the twigs. The bark was once a commercial source of tannin in the production of leather. Pioneers made a tea from the leafy twigs and brooms from the branches. It can be trimmed into hedges. 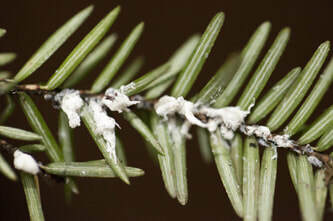 The Eastern Hemlock is currently under attack by an introduced species, known as the Hemlock Wooly Adelgid. 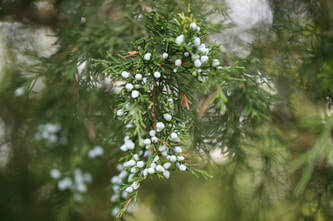 In some areas of the country, the adelgid has virtually decimated the hemlock population. In the Great Smoky Mountains National Park, there is a large scale effort underway to protect the hemlocks from this invasion. 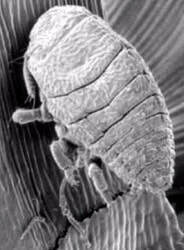 For additional information on the Hemlock Wooly Adelgid from the National Park Service, click here. For information on what you can do to protect hemlock trees in your own backyard from the US Forest Service, click here and for information from the Great Smoky Mountains National Park, click here. This tree is found in acidic soils, often in pure stands. It is characteristic of moist, cool valleys and ravines. It is also found on rock outcrops. This tree grows from 40 to 60 feet tall, and is 1 to 2 feet in diameter. It is an aromatic tree with a compact, columnar crown, sometimes becoming broad and irregular. The leaves are evergreen, opposite in 4 rows forming slender, 4-angled twigs, 1/16" to 3/8" long on long leaders. They are scale like and not toothed, dark green with a gland dot. 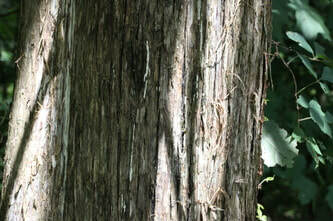 The bark is reddish-brown, thin, fibrous, and shreddy. The cones are 1/4" to 3/8" in diameter, berrylike, dark blue with a bloom that is soft, juicy, sweetish, and resinous with 1-2 seeds inside. The pollen cones are on separate trees. 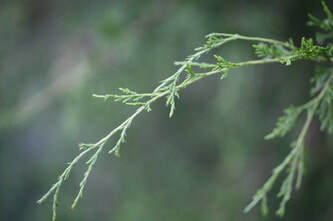 Young needles are smaller and more needle-like than the more mature ones. As they get older they develop into small, scale-like needles. This is the most widely distributed eastern conifer. It is native to 37 states. It is resistant to extremes of drought, heat, and cold. The aromatic wood is used for fenceposts, cedar chests, cabinetwork, and carvings. It was first observed at Roanoke Island, Virginia in 1564. It was prized by the colonists for furniture, rail fences, and log cabins. 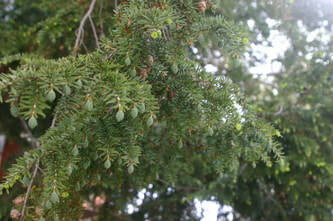 The cedar oil, that is obtained from the wood and leaves, was used for medicine and perfumes. The heartwood was almost exclusively the source of wood for pencils. The berries are consumed by wildlife including the Cedar Waxwing, which is named for this tree. It can be injurious to apple orchards because it is an alternate host for cedar-apple rust, a fungal disease. This tree is found from dry uplands, especially limestone areas, to flood plains and swamps. It can also be found in abandoned fields and fence rows, often in scattered pure stands.